In California, owners of dogs are statutorily strictly liable for any injuries their dog causes. This dog bite statute makes the owner of the dog strictly liable for any dog bite from the moment the ownership begins, provided that the victim was not trespassing, provoking the dog, injured by his employer’s dog while on the job, or performing a paid service involving dog. The victim is not required to prove negligence. In California, a victim of a dog bite only needs to show that: the dog was owned by the defendant; the bite took place on public property or while the victim was lawfully on private property; the victim was actually bitten by the dog; and the victim was injured by the dog. California Civil Code section 3342. 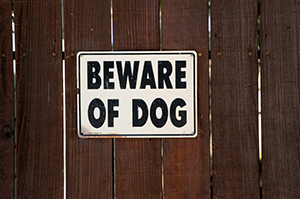 There are several defenses under the California statute where the dog owner may not be liable. California courts have denied recovery to victims who provoked the dog, negligently caused the attack, or assumed the risk of dog attack. If you or your loved one has been the victim of a dog bite, please call the attorneys at Adams & Corzine, as we can help you. Hiring an experienced attorney is important to help you sort out the complexities of a dog bite case. Please call our office today at 916-93-3900 for a free legal consultation.